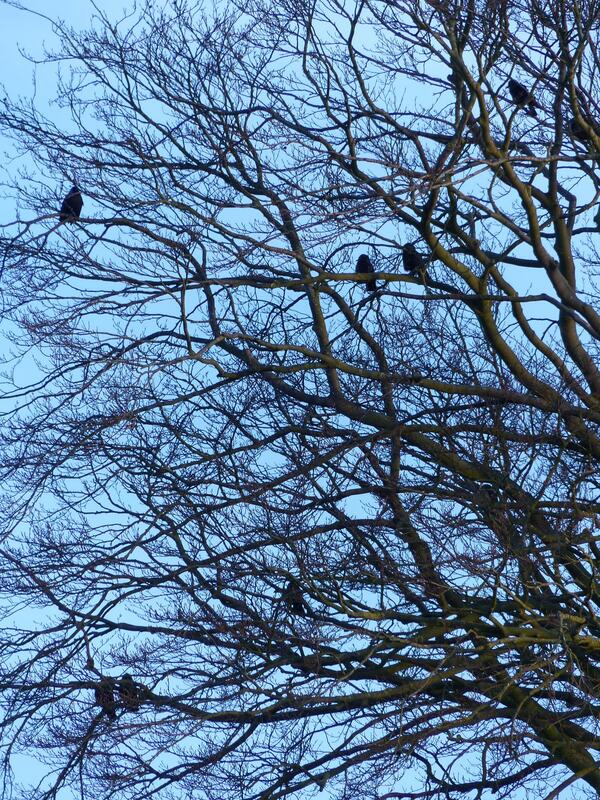 No Ravens at Cuddesdon, but plenty of Jackdaws – some of which perch most of the day in the big Beech tree by College House! The reading Maggi Dawn has set for today is one that is important to my parents, having been the favourite of Canon Rham, the Rector of All Saints Minstead at the time of their marriage and later my Baptism. ‘Consider the lilies of the fields…’ is marked in every Bible they’ve used I think. prayer – whether that be through the use of set liturgy in Common Worship or Celtic forms, or through arrow prayers ‘at the kitchen sink’ or through more reflective times walking, or more often in recent months, gazing out the window watching the rain. creative things – doesn’t matter whether it’s cooking or something more artistic, and it particularly includes creating acts of worship, and writing sermons; I’ve not stopped cooking though I don’t bake as much (partly for the sake our waistlines), but the others on this list have all been neglected by my focus on, or procrastinating about, my studies – and procrastination is rarely creative! Something I could rectify, possibly? studying – I’m studying theology for ministry for goodness sake, it ought to connect me with God, yet sadly it’s rarely been in a way that I have found uplifting and really fulfilling, so I guess with the next essay (the theology of land in the Old Testament with particular reference to the Sabbath) that should be my key aim, not just to write it, but to seek God in it. people – I’ve realised through this course how much I miss people when I have to study, and it’s not just the spending time with them, it’s the practice of hospitality given and received, the seeing Christ in people and where needed, being Christ to others, all of which I so look forward to doing more of in curacy! So I guess that what I really need to focus on once I return to it later next week (after lots of time needing to be away from it for valid reasons like this study weekend) is humbling myself before the immense amount I don’t know about God, and expecting him to show me things in the essay I need to research and write before Easter. Feels pretty Lenten to me, even if I’m not explicitly ‘giving something up! PS: I’m sure Graham will be along later with his thoughts on his blog here. All the content and photographs (unless otherwise specified) are the property of the author. You are welcome to link to content and attribute to ramtopsrac.wordpress.com. Photos can only be used with permission. ramtopsrac on Hog-news – First Contact 2019! Rob Barron on Hog-news – First Contact 2019!